Borgen is an award winning Danish political drama. The 3rd season just aired in Denmark. You can catch up in the U.S. by watching LinkTV for full length episodes. Season 3 will begin on LinkTV on October 4. Some episodes can also be seen on Dish and Direct TV. Borgen is outstanding in every way. As a political drama we see how power changes people, the sacrifices and compromises it demands, and the steely strength it takes to wield it. As a character study we have a fascinating array of individuals to watch. It is produced by the same people who made The Killing . Leading the cast is Sidse Babette Knudsen playing Birgitte Nyborg, who becomes the Danish Prime Minister and leads her country in a direction she believes is the best one. I tend to agree with her political choices, so I’m always rooting for her to win her political battles. We see her from her earliest and most idealistic days, through her rise to power, and through all the struggles to hold on to it. In her determination to lead her country she sacrifices and/or loses a great deal, most especially her personal life. While she struggles to lead a country, she struggles to be a parent and raise a family. Borgen is a study in how power shapes people and in how the use of power can be both a good thing and a bad thing. 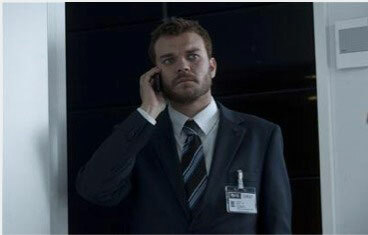 Birgitte’s closest advisor is Kasper Juul, played by Pilou Asbæk. He is even more of a political animal than his boss. Kasper also has an interesting background, lots of secrets, and a truly messy personal life. Part of Kasper’s personal life is in the person of journalist Katrine Fønsmark, played by Birgitte Hjort Sørensen, who reports on politics for both newspapers and television at various times in the course of the drama. Katrine has the most unyielding moral compass of any of the characters and is willing to lose her job for her convictions. She’s strong and tough like the people she writes about. The stories are filled out by a marvelous supporting cast of journalists, politicians, family members and characters who revolve around the Danish government and political parties. It’s in Danish, so you do have to watch the screen all the time to read the subtitles. There’s no time to play with a second screen and take your turn at Words with Friends while Borgen is playing. However, once you take a look at Borgen , you will not begrudge the attention it requires. You will be thoroughly impressed by the quality of the drama and the outstanding acting talents of the cast. If you love good serious drama, are fascinated by character, and long for more television featuring well-written female characters, Borgen will not disappoint. Look for Borgen UK on Facebook to keep up with announcements. You can read about all the awards this series and its actors have won on Wikipedia, where you’ll also find possible places to view it in a number of countries. The website is in Danish with some English options.